What will it take to see crying as just another expression of genuine emotion and not a sign of weakness? And what do we who cry do in the meantime? Ellenore Angelidis, On the journey . . . This is a tough subject for me to write about. Because to do so, I need to admit something I would prefer was not true. I am a crier and I cry at work. There I said it. I can almost hear the incredulous voices, “You cry at work?!?! Yes, I do. I don’t yell or blow up. But I do cry on occasion. I have tried my best not to do so. I can give you chapter and verse on what I tried that didn’t work. However, I concluded if I am to be authentically myself, crying now and then is part of the package. I find I am susceptible to cry at work in a couple of specific circumstances. I cry if I feel someone else’s pain. Either they are crying or are going through something that cuts me to the core because I can sense their pain but can’t alleviate it. I find this type of crying is generally viewed as more acceptable so I won’t spend much time on it here. I get emotional when I am frustrated and it’s personal to me. Usually the situation involves some violation of my sense of fundamental fairness. I have had this happen with challenging discussions that were deeply personal, either related to me or someone I cared about who worked with me. Most times, I could avoid crying if I don’t express my honest emotions. But as I matured in my career, suppressing these feelings felt inauthentic and ultimately led to more frustration. I tear up when I am angry and don’t feel I am being heard. I cry if I am touched by positive feedback I didn’t expect. I was at a leadership conference at Amazon a number of years back. After a business simulation, your peers give you feedback. Mine was surprising. I heard a number of them praise my ability to bring ideas and people together. And they wondered why I didn’t do it more often and earlier in the process. The reason I had held back was I thought there were many smart people there so I should wait and hear what others had to say first. I felt my eyes well up. I remember biting my inner cheek hoping to avoid a full cry. But when I had to respond, the emotion those words of affirmation released triggered the waterworks despite my best efforts. I was deeply embarrassed and desperately wished for a different response (and if possible for a deep hole to open up and swallow me). completely different ways that lined up with their reactions. I have thought about this a lot over the years and wanted to share some advice for those who might be like me and cry and also for those who are not and might have wondered what to do if someone cries in their presence. If you are a crier, own it. It is not your fault. It is not a sign of weakness. Crying is part of what makes you uniquely you. Embrace it. There are benefits in that it allows others to be vulnerable. If you see someone else tear up and get embarrassed, share, “I have cried too and you have nothing to feel ashamed about by crying.” Trust me this is powerful! When you start crying, take a moment to explain what is going on. If you are approaching a situation that might trigger you to cry, prepare yourself. If you are not a crier and someone cries in your presence, don’t freak out. Treat it like a normal response (which it is). Offer a tissue if needed and ask the person if they can continue. If they indicate yes, continue with the dialogue you were having. Normalize the behavior as much as you can so the person doesn’t feel ashamed. The person doesn’t want your pity. Let the person know you appreciate that they felt safe enough to express themselves genuinely with you. Crying makes you hugely vulnerable and that acknowledgement is a lifeline. Challenge your mental models that says crying is not okay in the workplace. Where did that perspective come from? How do you feel about yelling? Why is that different? I read an article that resonated with me. I am sharing my story in the hopes we can get to a place where crying is seen as just another expression of genuine emotion. Previously published on Working Mother. As a 13+ year employee of Amazon, , she was part of the recent growth. Ellenore latest role is Director Kindle Content Risk management. She was also Amazon's first Global Director of Diversity. Previously, she had business, product and legal roles for Amazon in Seattle, Luxembourg, and Paris – and is passionate about bringing change and forward momentum. Prior to Amazon, she received her legal start at the Chicago firm of Baker & McKenzie, then went on to manage complex litigation including regulatory matters, public relations and crisis management, as well as supported strategic sourcing for Sears, in Chicago Illinois. Ellenore Angelidis is the founder of Open Hearts Big Dreams Fund and the Board President which is focused on increasing educational opportunities (literacy, tech and art) for kids in Ethiopia her daughter’s birth country. At home, Ellenore has a partner of 25+ years and 3 children, ranging in age from college to elementary school, plus a dog and a parrot. 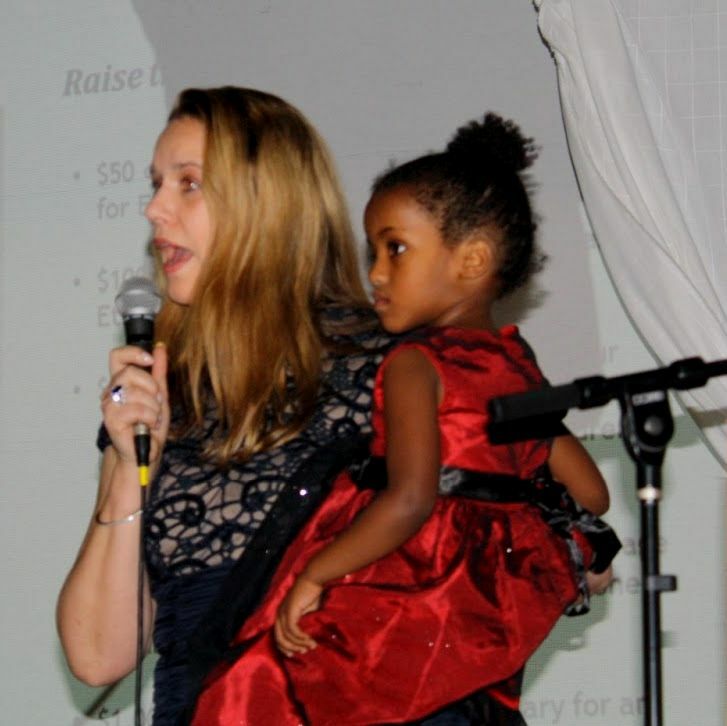 As a volunteer, Ellenore has held board and fund-raising positions with the not for profits WACAP and Ethiopia Reads. Ellenore is also published writer; on blogs (Ethiopian Ties and Balancing Career Family), and on-line magazines (Working Mother, Adoptive Families, InCulture Parent, and Women’s Essense). She also published her first children’s book, The Loud Prince, with colorful, diverse characters, through Kindle Direct Publishing. She has built teams across a variety of disciplines, companies and countries which give her a uniquely broad perspective to share.